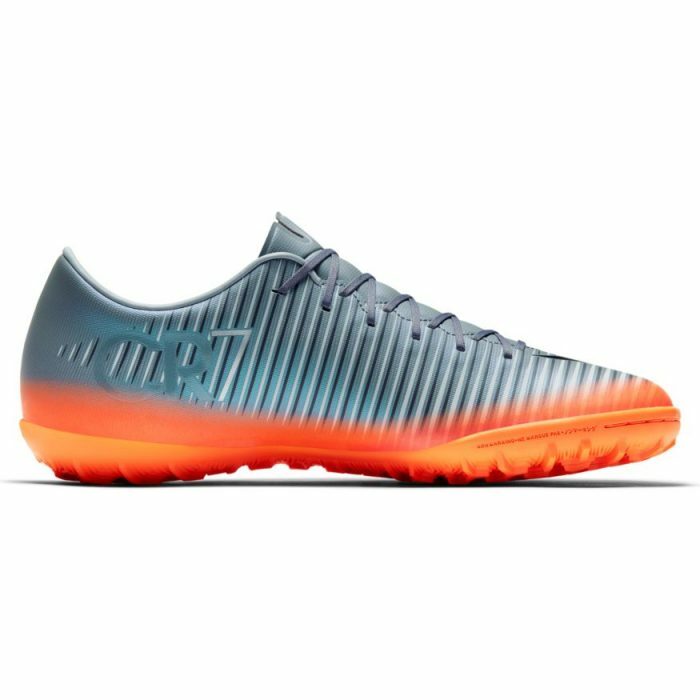 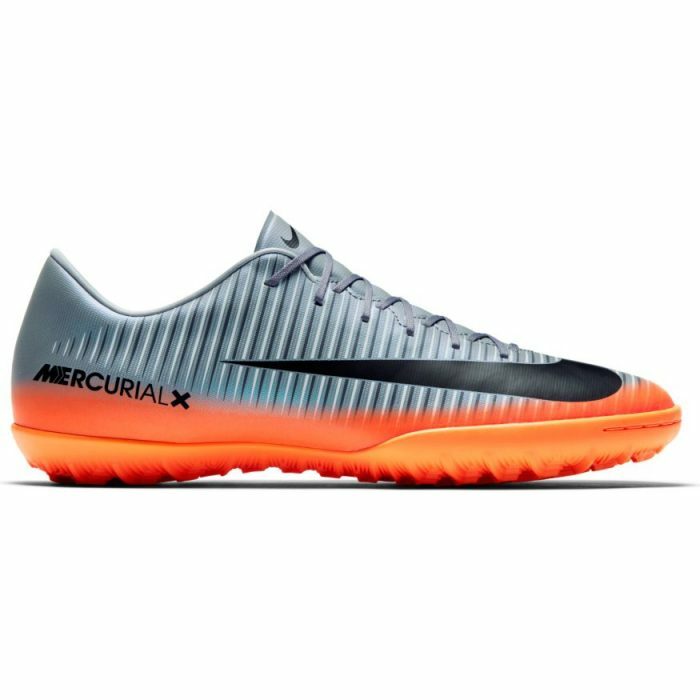 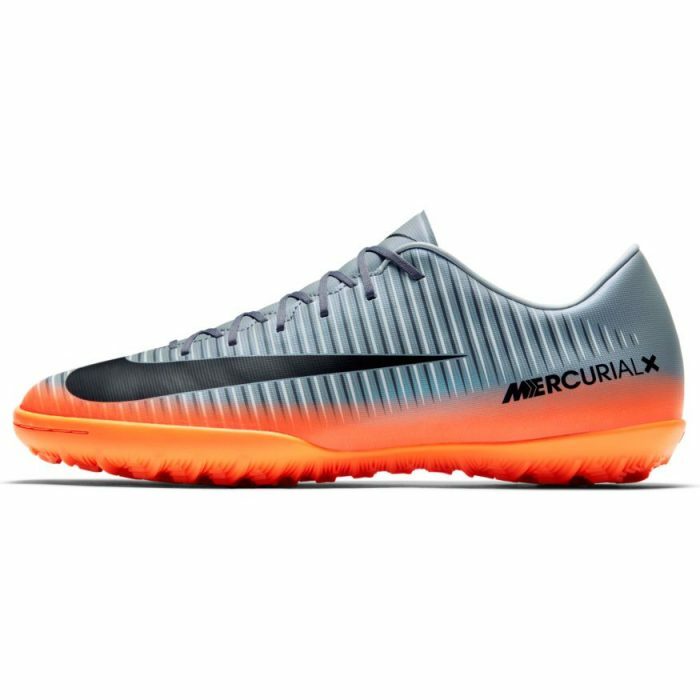 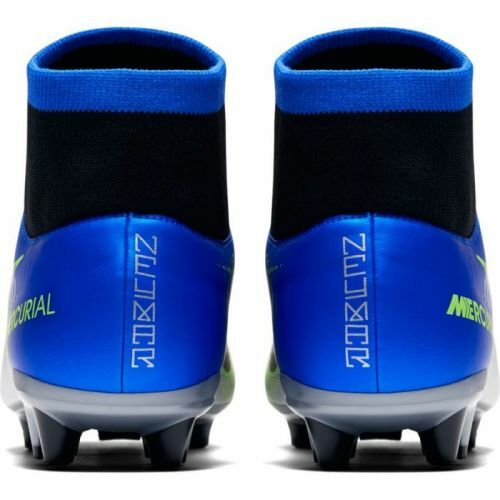 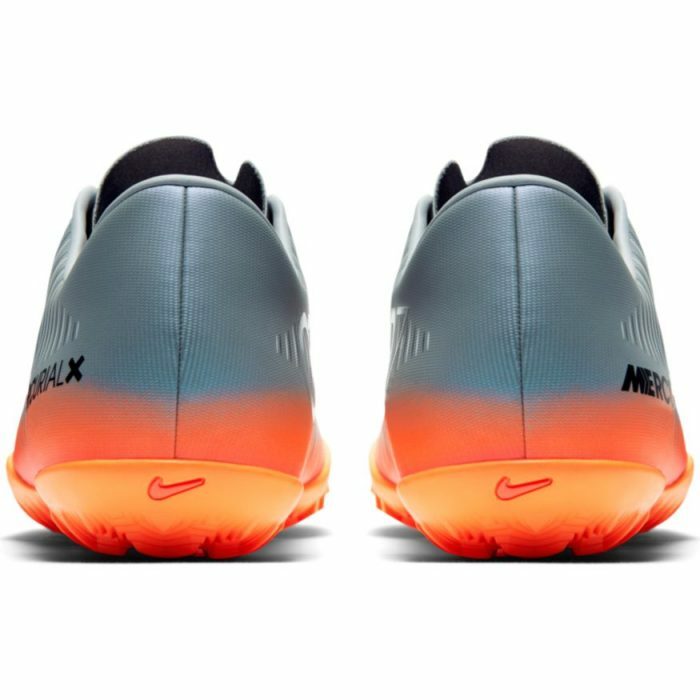 Men’s Nike MercurialX Victory VI CR7 (TF) Turf Football Boot combines a tongueless upper with embossed ridges and a contoured sockliner for low-profile cushioning. 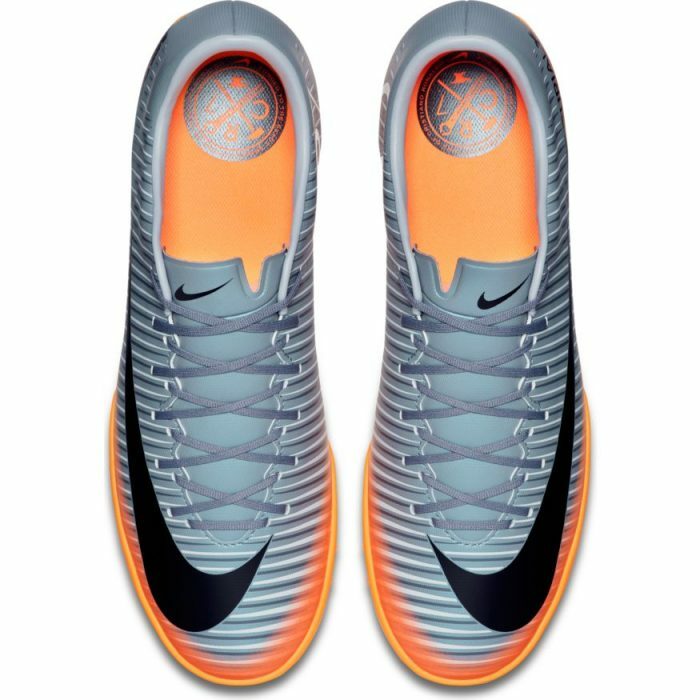 Embossed horizontal ridges across the upper enhance touch. 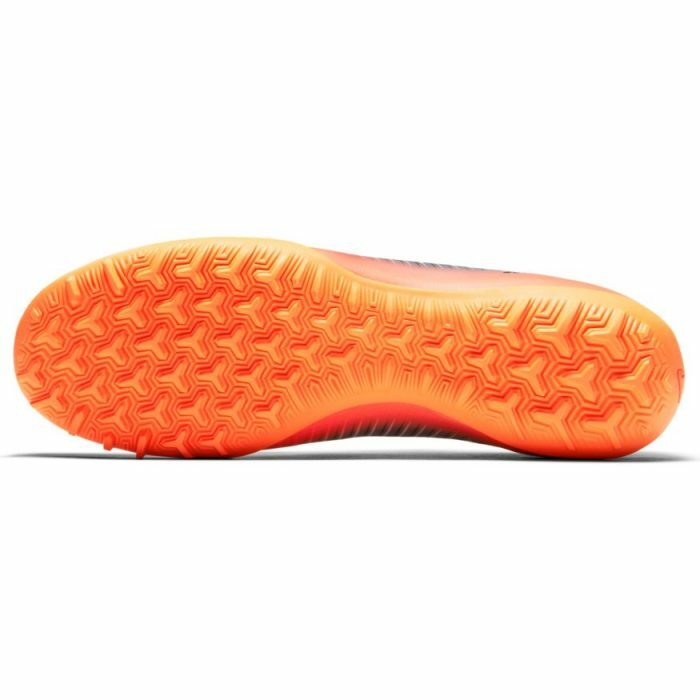 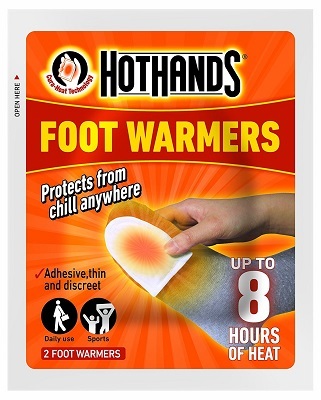 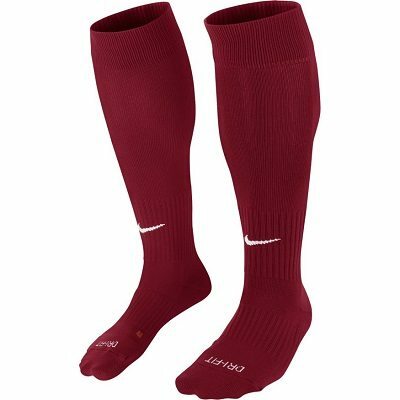 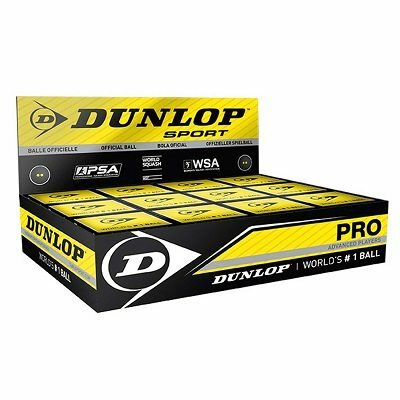 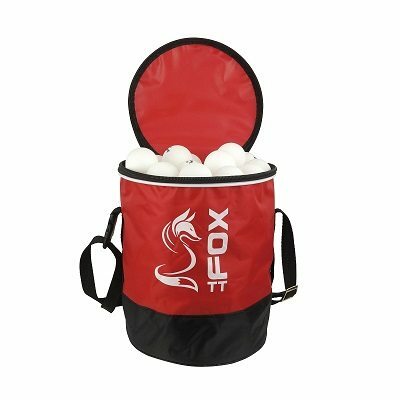 Contoured, perforated sockliner provides low-profile cushioning.